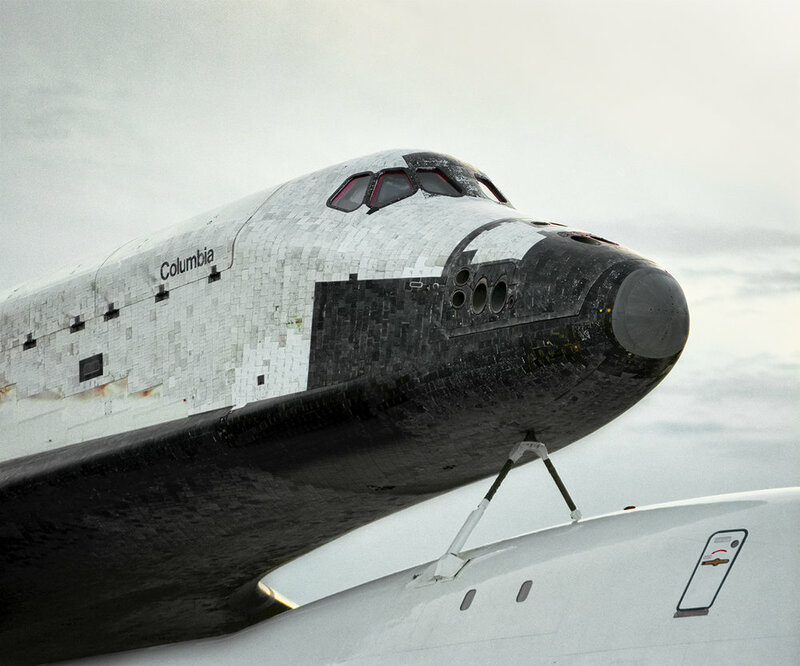 The Shuttle is a photographic exhibition of NASA’s Space Shuttle program during the early to late 1980s. Photographs of the shuttle, interior and exterior, accompanied by launch sites and the colorful remnants of burnt rocket fuel. Photographers featured in this exhibition include John Chakeres, Roland Miller, and Michael Soluri. Chakeres has been an artist working in photography more then 40 years. 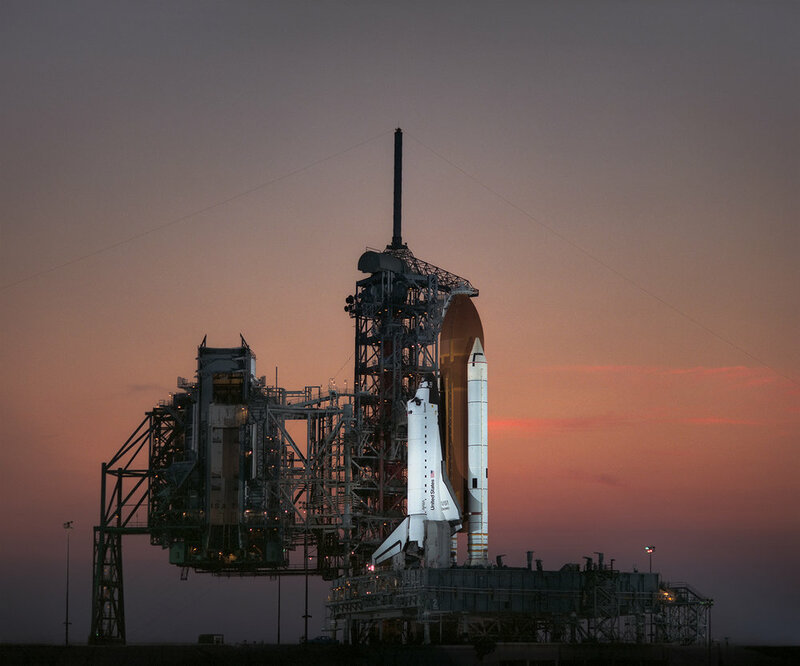 He has published four books of his photographs including First Fleet: NASA’s Space Shuttle Program 1981 - 1986 in 2018. Chakeres does not see himself as a traditional photographer, but as an image builder, trying to capture an essence, resulting in images that translate as pleasurable experiences to viewers. Chakeres describes his photographs to exist within themselves, detailed portraits of the crossroads where art and technology meet. Celebrating technology and the process of photography, Chakeres imagery becomes stories about photography’s capabilities to record detail with great clarity and definition. Born in Chicago, Roland Miller studied photography at Utah State University from 1976 to 1983, where he received both his BFA and MFA degrees. Former dean of the Communication Arts, Humanities and Fine Arts Division at the College of Lake County in Illinois, Miller taught photography for 22 collective years at Brevard Community College in Cocoa, Florida and the College of Lake County in Grayslake, Illinois. Miller moved to Florida in 1984, and shortly after arriving, he was asked to come out to NASA’s Kennedy Space Center to help dispose of some old photo- developing chemicals. 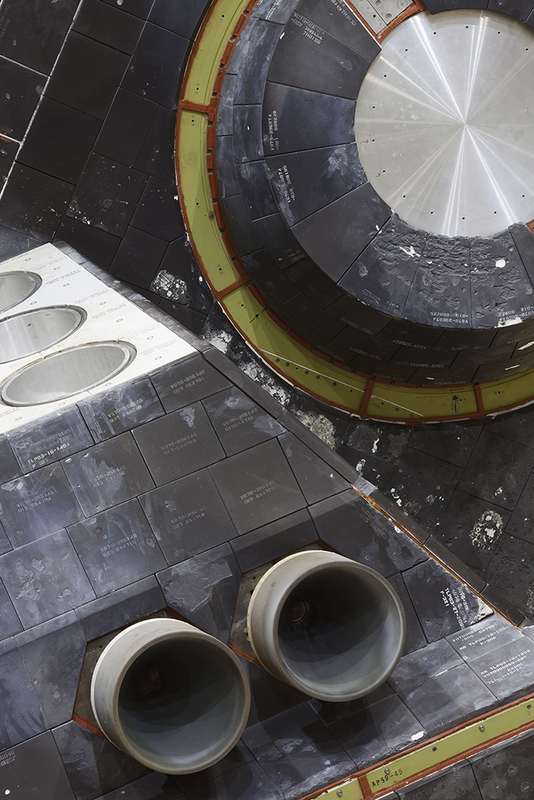 Around 1990, Miller approached NASA about a larger project to photograph the agency’s abandoned launch sites and facilities, creating a series which he titled, “Abandoned In Place.” It was from this point Miller’s fascination with and photographing of the space shuttle and facilities began. Miller’s work has been widely recognized. Featured in Smithsonian Air & Space Magazine, Florida Today, Kodak’s Photo Educator International, and many more. 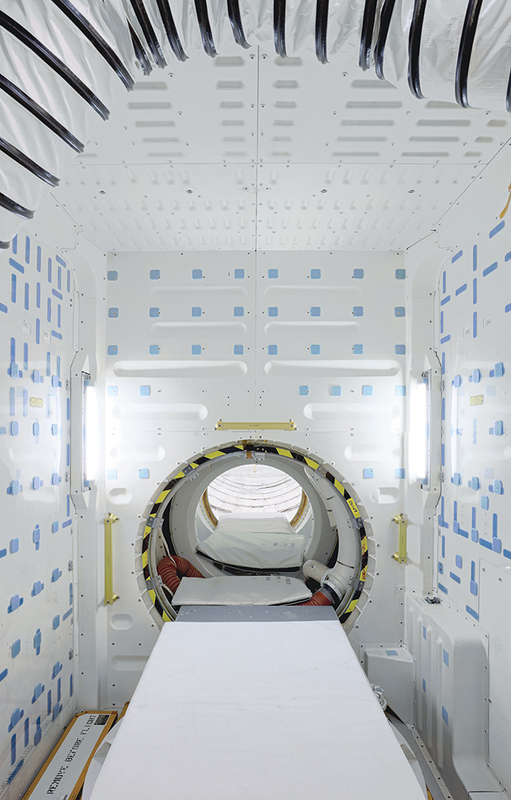 In addition to these publications, Miller’s photographs are included in permanent collections including: the Museum of Contemporary Photography in Chicago, the NASA Art Collection, and the Huntsville Museum of Fine Arts. Michael Soluri is a New York City-based documentary and portrait photographer who explores obscure locations, objects and micro cultures. His assignments and projects have taken him into cultures not only across America, through Europe, India, Central and South America but into the restricted, behind the scene work cultures of human and robotic spaceflight. 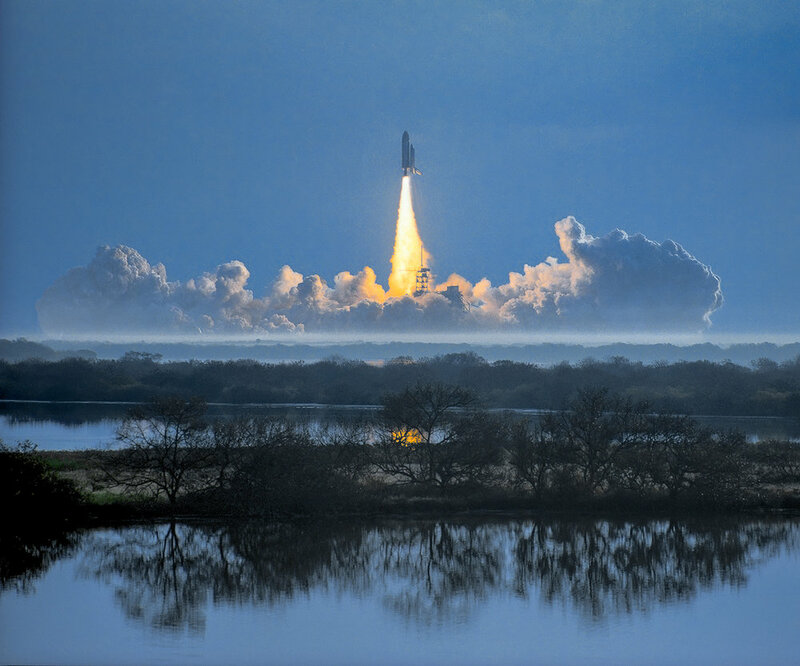 Since 2005, Soluri has been granted extraordinary behind-the-scenes access into high profile NASA human and robotic space flight missions involving the space shuttle, the Hubble Space Telescope, the astronaut crew of STS125 Atlantis, the New Horizons mission to the Pluto system and the sun bound Parker Solar Probe. With a foreword by John Glenn, he is the author of Infinite Worlds: the people and places of space exploration (Simon & Schuster). It is based on three years documenting the labor force, astronaut crew, tools and humanity behind the last servicing mission by a space shuttle to the Hubble Space Telescope. Soluri's recent work has been published by media like Wired, Smithsonian Magazine, New Scientist and the New York Times among others. He has appeared on MSNBC and his work can be seen in galleries on NPR, Space.com, Spaceflight Insider and Universe Today. His mural sized images of EVA space tools as sculpture are in the permanent collection of the Smithsonian’s National Air & Space Museum and “The Labor & Tools of Spaceflight” is on permanent display in the Shuttle Atlantis Pavilion at the Kennedy Space Center’s visitor center. 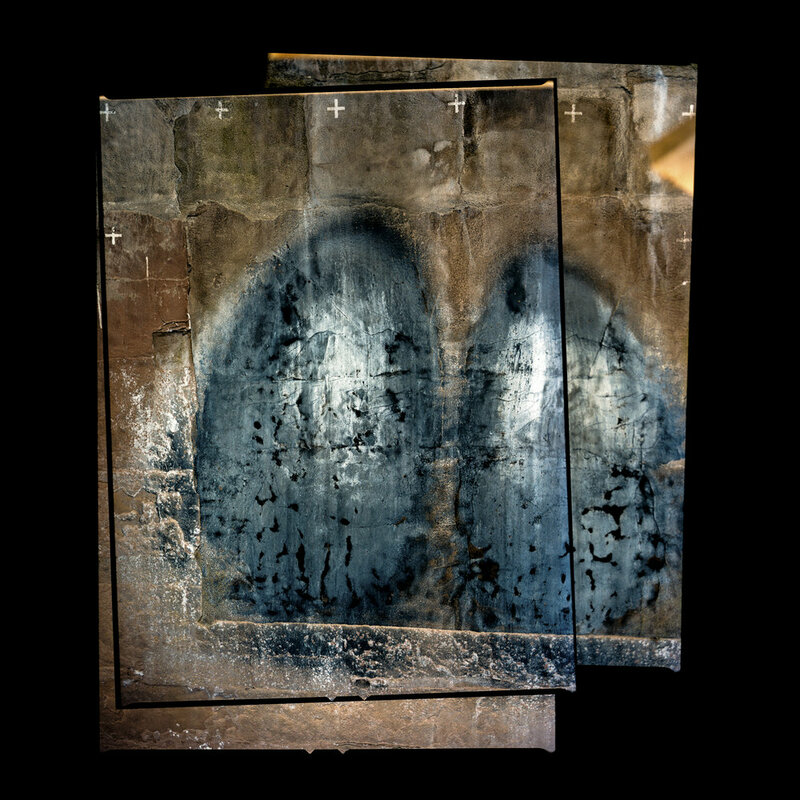 His current film-based project — Anthropocene Cave Art — is an exploration of surfaces and symbols under a historically restricted Apollo era launch pad in context to cave art. Michael Soluri and the Southeast Museum of Photography would like to thank Canon and Legion Papers / Moab for their sponsorship of this exhibition. Without their assistance this portion of the exhibition would not have been possible.